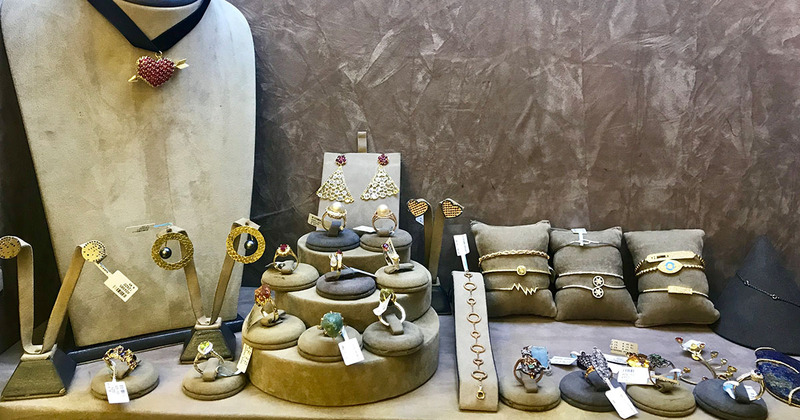 After generations of being in the jewelry business, El Sirgany has made quite a name for itself in the Egyptian market creating some of the finest pieces in the industry. El Sirgany’s magnificent pieces always steal the night away with their elegant glow and timeless artistry at any Red Carpet. We visited the fabulous Cherif El Sirgany boutique in Zamalek, where we talked to Mahmoud El Sirgany about the unique qualities that makes their brand stand out and got an exclusive peek at the brand’s new collection. Has the jewelry business been affected by the economic devaluation in Cairo? We were all prepared for it, it wasn’t something that hit us out of the blue. There is no doubt that we did witness a period of instability, but then eventually people started adapting to the new prices. What mostly affects the jewelry business, the price of metal or the price of gems? Definitely both have huge effects on the price of the jewelry piece, we can add to them the labor cost as well. Everything in the jewelry business is calculated in US dollars, you can image how much it costs to produce pieces with great quality. Jewelry designs are something that change from year to year. What’s the biggest change you’ve seen in the last 5 years? People’s taste changes all the time, what I realized is that women are currently looking for bulky statement pieces and are leaning more towards yellow gold. I think it all has to do with mind-set, we create pieces that cater different tastes but what is most important is providing a great service. How do you compete against other chain jewelry in Cairo, what makes you stand out? Our services are what make us stand out. We provide an after sale service different from any other place, and we also provide our clients with money back guarantee on the current price of the US dollar. We try our best to present everything new and trendy with the greatest prices by manufacturing our own work, for instance our newest collection is designed by a Brazilian artist who transforms steel wire into jewelry. We make sure to explore new things and stay up-to-date to cater the taste of all our clients. What’s your best advice on navigating a family business through the economic difficulties in Cairo? El Sirgany has been a family business for quite sometime now, it is very hard to have a family business with lots of people taking decisions in a very narrow space/circle, it is important to have a good expansion plan in order to have a successful family business. What’s your favorite stone and why? I really like Emeralds, its piercing green color is very relaxing to the eyes and the soul.